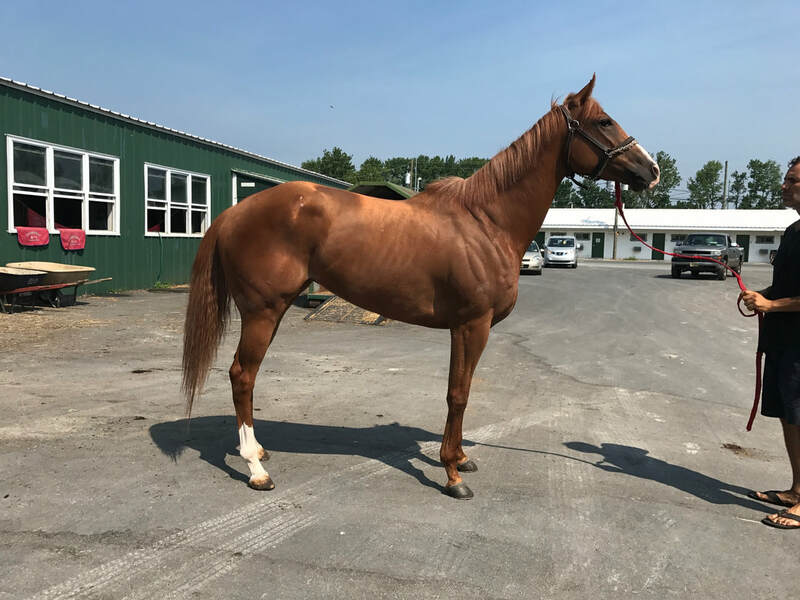 Information about horse: Peak a Woo is a beautiful moving mare who is ready to start her new career. This mare is SUPER Sensible. Her first ride under saddle was lovely. Cute mover with a great head on her shoulders. Beauty and Brains. She retired from the track with an old set knee chip. This mare would be suitable for pleasure, flat, dressage, trail, lower level fences. Peak A Woo enjoying her first turnout on the farm.